This is a 1884 ad for a F.O. 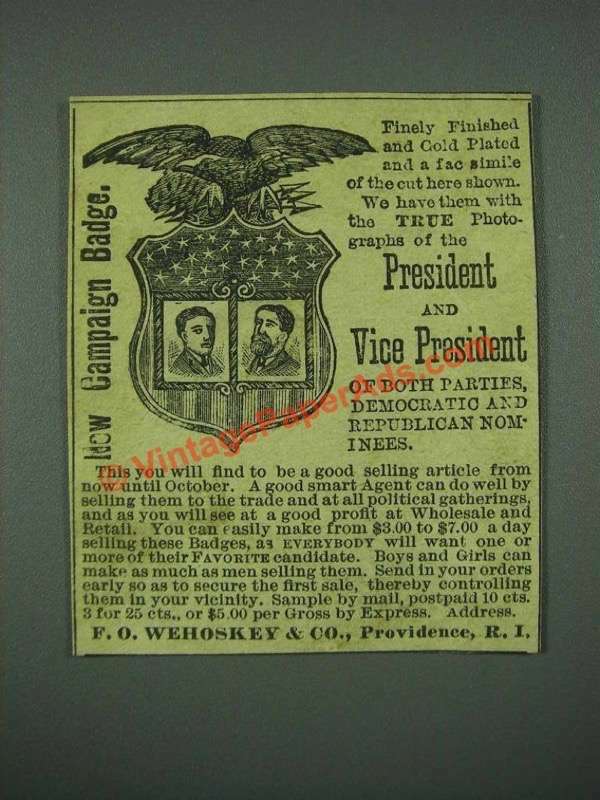 Wehoskey & Co. President and Vice President Campaign Badge! The size of the ad is approximately 2.5x3inches. The caption for this ad is 'Finely finished and gold plated and a facsimile of the cut here shown. We have them with the true photographs of the President and Vice President of both parties, Democratic and Republican nominees' The ad is in good overall condition, with some light wear. This vintage ad would look great framed and displayed! Add it to your collection today!